2016 won’t go down as a banner year for tennis star Maria Sharapova. A few weeks after being eliminated by Serena Williams in the quarterfinals of the Australian Open, Sharapova admitted that she failed her drug test during the tournament. Sharapova tested positive for meldonium. The drug which is prescribed for heart conditions was banned by the World Anti-Doping Agency on January 1, 2016. 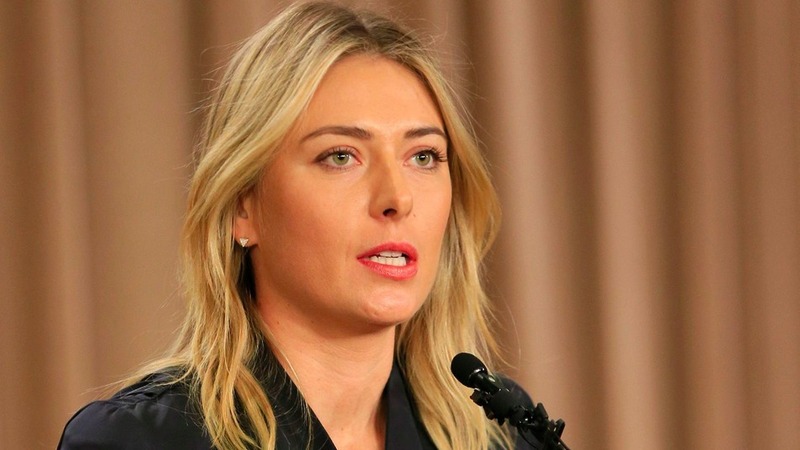 Sharapova admitted to using the drug for the past 10 years, but now she finds herself in the midst of a public relations nightmare as the International Tennis Federation has given her a two-year ban from the sport. Sharapova will be $375k, along with the points that she earned in the Australian Open. And the icing on the ill-tasting cake that Sharapova must now consume is the fact that she’ll be unable to compete for her homeland of Russia this August in the Summer Olympics. Sharapova intends to appeal the ban, but she has an uphill battle on her hands as the court of public opinion has already deemed her as a “cheater”. In recent years the sport of tennis has attempted to get all of its ducks in a row as there have been rumors of rampant doping. But Sharapova is the sport’s first star that has failed a drug test, and the International Tennis Federation has decided to make an example out of her as a scare tactic to the rest of the players. However in the meantime it will be hard for Sharapova to make a living. One of Sharapova’s sponsors, Tag Heuer has already cut ties with her, while Porsche is waiting to see the results of the appeal. Nike, Evian, and Head, are sticking by Sharapova, but this news comes at a bad time for her at this point of her career. Sharapova is 29-years of age, and these are the prime years of her career which if she loses her appeal, she will never be able to get back. Sharapova finished 2015 as the fourth-ranked female tennis player in the world, and there was a good possibility that she would have finished in the top ten this year as well. The chances of Sharapova getting her suspension overturned are slim, but there is a possibility that it could be reduced. However the International Tennis Federation wants to send a strong message to its athletes that they intend to crack down on doping. Sharapova didn’t helped her case when recently she posted a photo on Twitter while wearing a shirt that read “Back In 5 Minutes”, which was posted just days before the announcement of her suspension. Sharapova’s team will more than likely claim that the International Tennis Federation was not clear enough on their wording about banning meldonium. The drug was banned on New Year’s Day, and according to Reuters.com, the drug can stay in a person’s system for quite some time. So if Sharapova took a dosage of the drug just prior to its ban, then she was definitely going to fail her drug test at the Australian Open. But now Sharapova must ready herself for a legal battle that is unlike any intense volley that she’s had to endure with Williams, Victoria Azarenka, or any of the other top female tennis players in the world, as she is now battling for her reputation. And once Sharapova’s tennis career is able to resume, the pressure will be on her as her critics will cite every mistake and loss in her game to drug use. Sharapova now finds herself down love-40 as she’s been fined, suspended, and ridiculed. However let’s see what Sharapova has up her sleeve in order to clear her name and potentially resume her career.